There are thousands of different herbs that get used by various traditional medicine systems and cultures, yet each of these cultures and traditional medicine systems have a few different herbs that they keep in very high regard. In traditional Chinese medicine, this herb is Panax ginseng, which is seen as being able to aid the body function better in almost every regard. It is seen as a true panacea. In a similar vein, Ashwagandha is one of the most widely discussed and used herbs in Ayurveda. It too is seen as a panacea that can help the body function better. In fact, in Ayurveda, Ashwagandha is one of various ‘Rasayana’ herbs, which loosely translates to ‘rejuvenator’. In more modern interpretations, Ashwagandha is often times classified as an adaptogen supplement. The term ‘adaptogen’ is a fairly modern interpretation of a concept that was developed more than 70 years ago by N.V. Lazarev, a Russian pharmacologist. In 1947 N.V. Lazarev was running various experiments with dibazol, a compound which acts as an arterial dilator. During these experiments he was starting to observe an effect he had never encountered before. It seemed that dibazol was non-specifically balancing biological processes within an organism while they were being exposed to adverse influences such as stress. He called this effect SNIR, which stands for "a state of nonspecifically increased resistance. These are natural substances and are highly regarded traditionally for their rejuvenating effects. In fact, all adaptogens are now classified as natural herbs and plants with synthetic molecules that have adaptogen-like effects being referred to as actoprotectors. Now, with there being so many adaptogens, it is often times hard to choose which one to supplement with. Luckily, adaptogens have a wide range of effects. Some can be a little bit more energizing while others can be much more calming. What makes Ashwagandha unique, is that it is very calming and great for stress relief, while not causing much lethargy. This makes it one of the best adaptogens to keep a level head at all times, while making sure our bodies stay healthy and happy, even during times of enhanced stress. What compounds are in Ashwagandha? Sensoril Ashwagandha: Sensoril Ashwagandha is standardized to 10% glycowithanolides making it a potent and calming extract. Sensoril is made from a blend of Ashwagandha root and leave extracts, which is part of the reason why it is so potent. Sensoril is best taken during periods of high stress, or to help enhance sleep quality. 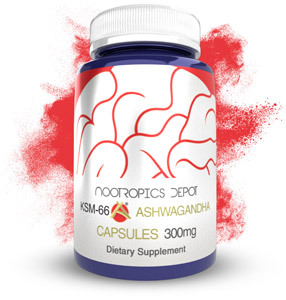 Basic Ashwagandha: Nootropics Depot's basic Ashwagandha is made from both Ashwagandha root and leaves, and is standardized to 4-5% withanolides. Effects wise, it appears to be a perfect blend of both KSM-66 and Sensoril. This Ashwagandha extract is uplifting and calming without being too calming or too energizing. Many people tend to prefer this Ashwagandha extract because it is so well balanced. In a blind test we did around the office, a vast majority of us preferred the regular Ashwagandha. However, if you are looking for specific effects, such as an extract that is very calming or an extract that is very uplifting, then this is not the Ashwagandha extract for you. As mentioned earlier, traditional preparation of Ashwagandha root involved the use of milk. This is due to the fact that Ashwagandha contains both water and fat-soluble compounds. Milk, being a mixture of both water and fat, allows for efficient extraction and absorption of the bioactive molecules contained within Ashwagandha. This allows for the highest amount of Ashwagandha benefits. One of the biggest limiting factors to our overall cognitive health are the physiological effects of elevated stress. Besides feeling "stressed", which can manifest itself as feelings of uncontrollable energy contrasted by paradoxical mental exhaustion, there is a lot going on in our bodies and brains when we are exposed to abnormal levels of stress. One of the main biochemical responses to stress is a rapid elevation in the levels of various stress hormones called corticosteroids. One of the most well known corticosteroids is cortisol which is produced by our adrenal cortex. Cortisol plays a role in a large variety of processes in our bodies, which under normal condition are very beneficial to our overall health. In fact, cortisol becomes elevated at certain points in the day. For example, cortisol is highly elevated in the mornings. Under normal circumstances, this will help us feel alert and motivated while also ramping up our metabolism. Cortisol levels drop later in the day, which will decrease alertness and make it easier to relax and go to sleep. Under elevated stress, these normal fluctuations in cortisol levels (which are collectively referred to as the diurnal cortisol curve) can become dis-regulated. This can manifest itself in a variety of different ways, such as a flat plateau, where cortisol levels increase in the morning and remain elevated. It can also completely flip around, resulting in low morning cortisol levels and high evening cortisol levels. In a real world interpretation, this may cause excessive stimulation during the day, excessive tiredness in the morning or excessive stimulation at night. Bare in mind, these are just the effects of disregulated cortisol that we can perceive. There is a whole lot more going on under the hood. Elevated cortisol levels may have a very detrimental effect on the cells contained in a part of our brains called the hippocampus. It is thought that a large portion of memory processing, especially the acquisition stage of memory, occurs in the hippocampus. Thus, it is no surprise that elevated cortisol levels in response to stress, can hamper memory function. Furthermore, elevated corticosteroid levels in response to stress can also significantly dampen our natural immune response. A combination of hampered cognitive and immune function can be very detrimental to productivity and can be a big blow to our general quality of life. So how do we minimize the physiological impact of stress in such a high stress world? One of the best options is identifying your main sources of stress and attempting to manage them on a behavioral level. However, sometimes this is not possible and we need a little extra help. Luckily, Ashwagandha has some powerful stress management benefits. Withanolide A, one of the major bioactive molecules in Ashwagandha, has been reported to normalize elevated corticosteroid levels during elevated stress. Through this mechanism of action, Ashwagandha can help protect us from the potential negative effects of elevated cortisol levels. This mechanism of action, can also help support our memory, help promote overall cognitive function and help promote immune system strength. The withanolides have also been shown to promote overall brain health. They can achieve this by providing robust neuroprotective effects through normalizing elevated glutamate levels. Glutamate is an important excitatory neurotransmitter. In normal levels, glutamate helps us form and store memories. However, in abnormally high levels, it can cause damage to our brain cells. By normalizing glutamate levels, Ashwagandha can help promote overall brain health. The glycowithanolides in contrast to the withanolides are not as stress reducing. Rather, they appear to be very neuroprotective and calming. Various studies have shown that glycowithanolides can help promote relaxation and a positive mood. One of the mechanisms by which glycowithanolides appear to achieve this is by normalizing the levels of tribulin. 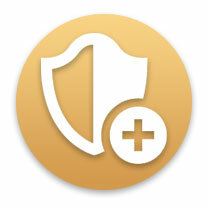 Levels of tribulin increase when stress levels are elevated and may cause feelings of restlessness and a gloomy mood. Via reducing tribulin levels, Ashwagandha may help regulate these feelings of restlessness and instead may promote relaxation and a positive mood. Ashwagandha benefits also appear to extend to the GABA system. Ashwagandha does this by enhancing signaling through the GABA A receptor, which is one of the primary inhibitory receptors in the brain. By enhancing signaling through the GABA A receptor, Ashwagandha may be able to promote significant feelings of relaxation, which may even translate to improved sleep quality! Withanolide A has been shown to help normalize our immune system during periods of stress. It does this through a few mechanisms. The first is normalizing elevated corticosteroid levels which will result in a general normalizing effect on our immune system. However, Withanolide A goes a step further and appears to increases the expression of the Th1 cytokines, interferon gamma, and interleukin-2 whilst decreasing the Th2 cytokine, interleukin-4. These compounds are all important regulators of our immune system, and the specific shift that withanolide A is able to induce may help promote stronger immune function. As we mentioned earlier, stress can have a major impact on sleep if it starts to shift our diurnal cortisol curve to elevated cortisol levels at night. This will make it hard for us to unwind from a busy day, which makes it very hard to get into a relaxed enough state to fall asleep. This is often characterized by racing thoughts at bed time, which in the worst-case scenario may keep us tossing and turning all night, resulting in exhaustion the following day. Since Ashwagandha can normalize cortisol levels, this alone can help improve our sleep quality. Ashwagandha sleep benefits also extend to the GABA system. Sleep is a very complex phenomenon, but we have come to the understanding now that GABA plays a critical role in the initial stages of sleep. GABA is referred to as an inhibitory neurotransmitter. Metaphorically speaking, think of GABA as the brake in your car. GABA gives us the ability to slow down our brain, allowing it to enter a state of lowered activity which will help facilitate sleep. Which Is The Best Ashwagandha Supplement For Me? Sensoril Ashwagandha Extract: This extract is by far the most calming. For people whom are stressed and are feeling excessive energy, this would be a great Ashwagandha supplement to promote relaxation. Sensoril, through its calming actions, is also the best option for those looking to capitalize on Ashwagandha sleep benefits. For individuals whom are feeling more exhausted and sluggish, this would not be the best choice as it may bring about feelings of lethargy. KSM-66 Ashwagandha Extract: This Ashwagandha root extract is much more balanced, and is not nearly as calming as Sensoril. In fact, KSM-66 even appears to be a very invigorating extract and can produce a bit of an energy lift while promoting a positive mood. We have also found that during long term supplementation, this is one of the best Ashwagandha supplements to take in order to protect ourselves from stress. For individuals whom are stressed and feeling excessive energy, this may not be the best Ashwagandha supplement to take as it may not adequately calm them down in the manner that they are hoping for. Basic Ashwagandha Extract: This Ashwagandha takes aspects of both Sensoril and KSM-66 and combines them. It is not very calming like Sensoril but it is much more calming than KSM-66. It is also not as invigorating as KSM-66 but it is much more invigorating than Sensoril. Our basic Ashwagandha Extract would be a fantastic supplement for individuals looking for balanced stress support that will keep them happy and healthy! Still not certain which the Ashwagandha supplement is best for you? Try out our Ashwagandha Extract powder sample pack. How to take Ashwagandha is a question we often times receive. For the most convenient method, we recommend using our Ashwagandha capsules. However, if you are set on Ashwagandha powder, then there are a few methods that can be used. If you are currently following a keto diet, it is easy to incorporate Ashwagandha in various keto recipes. One very popular keto recipe is bulletproof coffee. In this keto recipe, black coffee is mixed with grass fed butter and MCT oil.This keto recipe is a perfect vehicle for our selection of Ashwagandha powder. As mentioned earlier, Ashwagandha bioactives are both water and fat soluble which is why traditionally Ashwagandha root is consumed with milk. Bulletproof coffee mimics this somewhat by combining fats and water. Thus, adding one of our Ashwagandha powders to this keto recipe, would result in optimized absorption. We would recommend using KSM-66 Ashwagandha for this method of supplementation due to its mild and milky taste. A keto diet can actually elevate cortisol levels, and thus, Ashwagandha powder would be a fantastic addition to various beverag-based keto recipes such as Bulletproof coffee. Other mild tasting Ashwagandha powders, such as Sensoril (mild taste due to low dosage), can be used to make Ashwagandha tea. To make this Sensoril-based Ashwagandha tea, we would recommend brewing some chamomile tea, adding Sensoril powder to it, and drinking it before bed. This Ashwagandha tea recipe can be enhanced by the addition of some milk and honey, which combined with the Sensoril and chamomile, will make for a very peaceful night of sleep! When to take Ashwagandha is another question we frequently receive. Our general advice for Ashwagandha supplements is to take them in the morning. We suggest this due to the fact that a vast majority of stress is experienced during the day. For Ashwagandha supplements such as Sensoril, we would recommend taking these about 1-2 hours before bed if the goal is to enhance sleep quality.